SpaceX is getting excruciatingly close to catching a part of its rocket that falls out of the sky after each launch. A new video, released by the company on Twitter, shows a recent drop test of the rocket’s nose cone, the bulbous shell that shields the vehicle’s satellite and then breaks away during flight. In the footage, the nose cone nearly lands on SpaceX’s recovery boat, but ultimately, it falls into the water. While the video is painful to watch, it suggests that SpaceX may soon be able to perform a successful nose cone recovery after an upcoming mission. And that could provide some savings for SpaceX. This hardware, also known as a payload fairing, costs about $6 million to make for each flight, according to the company. SpaceX CEO Elon Musk has been eager to save these expensive pieces in order to use them again — just like the company does with its Falcon 9 rockets. SpaceX has tried this technique after three flights, and none have been successful. 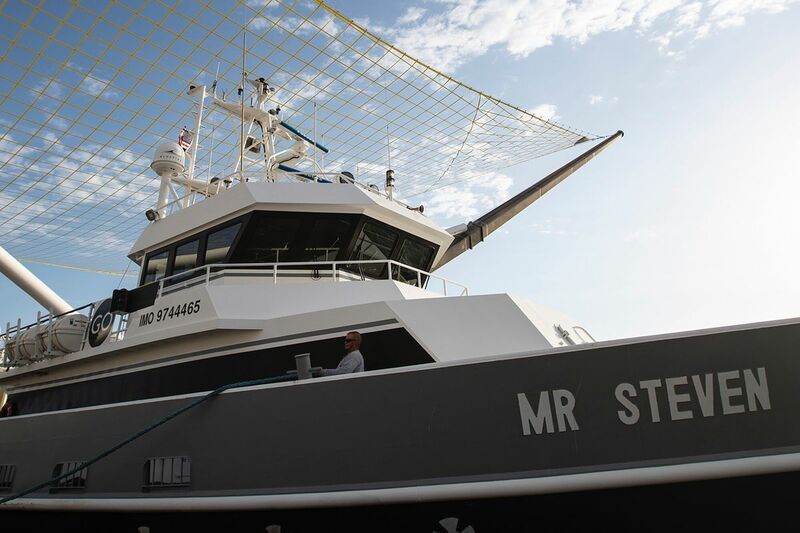 The company even increased the size of the net on Mr. Steven, but still no luck. To hone the process, SpaceX has been doing drop tests with Mr. Steven, releasing a fairing from a helicopter and then attempting to catch it with the boat. Another video released by SpaceX on January 7th shows the fairing missing the net by just a few feet. In the most recent video, released yesterday, part of the fairing actually touches the net, but it’s ultimately not enough to stay on the boat. Mr. Steven, which has been based on the West Coast, will soon make the journey to the East Coast where it will attempt to catch the falling fairings of SpaceX’s Florida-based missions. In the months ahead, perhaps we’ll see a successful recovery in the Atlantic. Previous Previous post: How Do Plants Grow in Space?